Well, what can I say? 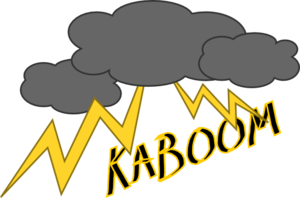 I think kaboom is a great word for what’s going on. Last weekend I had a mental breakdown, it had been building for some time to be fair. I’ve been saying “I’m fine” way too much, as I just don’t know how to express how bad I feel. This resulted in me wanting to throw myself from the upstairs window on Saturday night, luckily I suppose, I have phobias, including a fear of heights. This meant I just was shaking uncontrollably instead, crying so much I felt like I was drowning from snot, and all around my eyes hurt like I had been punched in the face. I got up, went to work, struggling lots. Sunday night, same thing, so depressed it hurt. My partner had told me to stop snivelling and attention seeking. I wasn’t attention seeking, I was breaking from the inside. Sat down at the dinner table, my son kept complaining about me, grunting and blaming me that he wouldn’t eat so I left the table and sat on sofa crying. Dinner finished, and they all came back into the living room, eldest son again made bitchy remarks. I couldn’t take anymore, I legged it up the stairs and into my bed. After nearly an hour partner came to check on me, a speech that sounded to me like “man up, its pathetic” then made comment that I do not do housework anymore and he needed the bed to organise the clean laundry into piles to put away. With that I rolled off the bed into the tiny gap between my side and the wall, said fine have your bed, I suspect was several 4 letter words in this exchange but I can’t clearly remember. He stamped off whilst I was worse than before. I wanted so badly to die. I had completely broken. Instead of jumping I lifted the bed and moved under it. This wasn’t easy as its a heavy solid wood king size bed. It actually hurt, but I didn’t care, I had to trap myself or I would die. There wasn’t enough room for me under there, and I am claustrophobic but it didn’t matter. Was strangely comforting that I couldn’t lift it from underneath, simply too exhausted. I couldn’t shake, as I was wedged, felt destroyed but safe. I had my phone on me thankfully and went onto Facebook chat and spoke to Jacki. My only real life friend, the only person that wanted to come to Australia with me last year. We chatted about 2 hours until she fell asleep, making me promise I’d call a doctor. At about 2am I phoned the out of hours service. You get through to a receptionist nurse first, then get put in a triage queue based on need. I told the lady “I need to talk to someone now as I think I’ve gone mad” Where are you now she asks “trapped underneath my bed” I explain. Needless to say the doctor called me back sharpish. I spoke frankly about how I was struggling being a mum to kids that hate me, how suicidal I felt, how little my own doctors listened and that I’d totally given up. Felt lost, deserted, abandoned, unwanted, in the way. This doctor insisted after befriending me slightly, That I MUST get free. So I woke up partner who was asleep on top of the bed. He could hardly lift it either. Once free I locked myself in bathroom with a teddy bear and collapsed in a heap. The next morning, running on almost no sleep I got kids to school then walked to my doctors, too busy to see me and didn’t care I was visibly very distressed. I tried another doctors surgery, friendly and no queue but weren’t allowed to see me as i wasn’t “Their” patient. I kept walking, shaking and crying, looking insane I would assume. I walked all the way to city centre and into a doctors that used to be a walk-in centre. The receptionist was a bit harsh and I broke down again. She said no appointments, I said angrily I had already tried to get help and been failed by the system. I was probably really rude, but I can’t remember. I was told come back in an hour. I couldn’t stay in the waiting room. I walked 5 mins up the road to a bench and sat there, in the rain for the hour. I now have medication, and I was referred to the mental health teams and social services. They have not done the full assessment to diagnose me, but said the main 3 things I’m likely to have is severe depression with anxiety issues, BPD (borderline personality disorder) and PSTD (post traumatic stress disorder). I’m not allowed to work for one month. Nothing feels right, things taste wrong, and I’ve been freezing cold since this happened. Some have kicked me whilst I’m down during this, such as my eldest sister. If she’s reading this you are blocked, deleted, on ignore and disowned. How dare you rant at me for asking for help on Twitter. She wrote I was “vile and abhorrent” amongst other things, as I was according to her pretending to have mental illnesses. She told me, whilst suicidal, to do it. News flash, a psychiatrist says I’m sick, leave me the hell alone from now on Sarah. You are no longer my sister. To the lovely people who were there for me on Twitter when I was lonely and suicidal, thank you. And I’m sure my kids would thank you too if they realised how much you awesome Twitter folk help me. It was hard to write, I won’t lie. But I had to talk, to get it out. Thank you for a kind comment. Lisa from Lisa’s Life recently wrote… The White Horses Were Galloping. 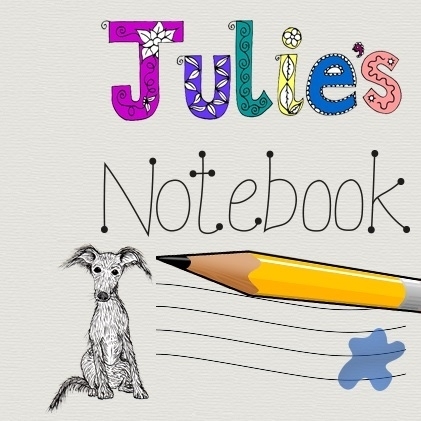 Thank you for linking this up Julie, I’m so glad I had a chance to read. This is so raw, a complete stream of consciousness that when reading I felt what you felt and I have been there too. It’s a scary place and I am so glad you got help and are still here being the wonderfully kind hearted soul that you are. Vicky (@aroundandupsidedown) recently wrote… Get the look: Monochrome and bold clashing prints – everyday casual wheelchair fashion. This post was so touching, and my heart goes out to you. Nothing is more painful than reaching out for help with the little strength you might have left, and not get it. I hope things are better for you! Yaya recently wrote… Pet Facts Video Infographic UK | Petplan *.